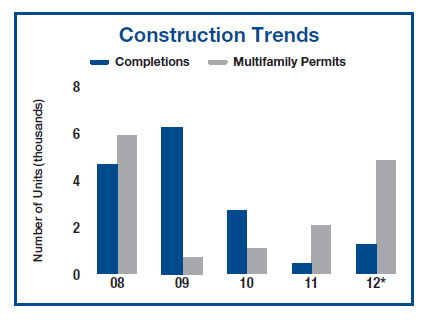 Q2 Local Metro Apartment Building Investment Reports Now Posted. M&M tracks 40 metro apartment investment markets and delivers quarterly reports on occupancy, rents, absorption, new construction and permits (See list below). You may have to register with them to access the reports. If you have questions about a specific market Continue reading Q2 Local Metro Apartment Building Investment Reports Now Posted. Posted on May 8, 2012 May 9, 2012 Categories Apartment Building Investment Cycle, Apartment Finance, Multifamily Design & Development, The Economy and Current AffairsTags Apartment Building Investing, apartment building investment cycle, apartment construction, apartment demand, apartment market cycle, ecomomic outlook, employment, hiring, jobs, multi family investments, Permitting, supply, trendsLeave a comment on Q2 Local Metro Apartment Building Investment Reports Now Posted. 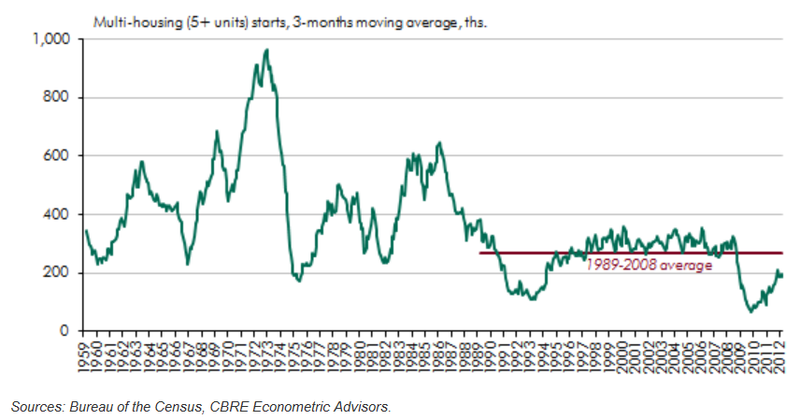 This was an eyeopener for us in the apartment building investing business: Large US cities with falling rents. The table is from TransUnion, I wonder what their sampling methodology is- And I wonder how that breaks out by asset class. Yes of course there are cities with rising rents but Denver rents down almost 9% in a year? In 2011? Even Chicago down almost 5%? 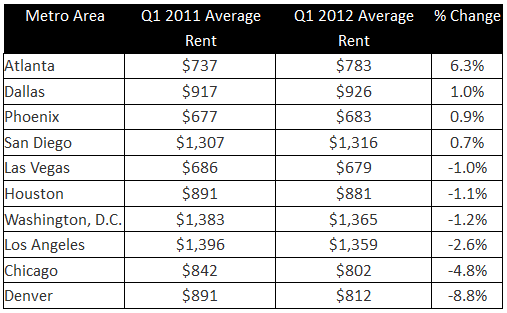 And DC the apartment hotbed has falling rents? Supposedly their data comes from managers supplying info for tenant screening and if that’s the case it seems like there are some serious concessions being given.